Q. What type of cancer were you originally diagnosed with? Q. What year were you originally diagnosed? Q.What is the current status of your health? A. I am Cancer Free! Q. Please recall what it felt like when you were given your diagnosis? A. It was the most horrific day of my life! The only worst day was learning that my father had died in a car crash as a child on Halloween! The three words… YOU. HAVE. CANCER. are some of the scariest in any language! Words can’t describe it really. It felt like a nightmare. All I could think of was the loved ones I had seen go through chemo as a child. I knew I couldn’t repeat what I had already seen as a child. I couldn’t let my 7 year old watch me die slowly and painfully… I didn’t understand how the Lord could have given us two beautiful adopted daughters months earlier? How could He have planned for me to be their mommy and now I was going to die? I could not reconcile this in my head. It was the darkest time of my life. I was terrified. All I knew was the standard conventional therapy. My career in the pharmaceutical industry for 14 years had trained my mind to only understand and believe in gold standard clinical research… But I knew somewhere in my heart that there had to be another answer to dying of chemo and side effects slowly over a year or more… I knew my God was bigger! I knew He loved me! But I was terribly confused, heartbroken and devastated. I finally had the family of 5 of my dreams— 3 girls and I was sick??? Q. How did your family respond to the news? Q. What were your doctors telling you? A. The surgeon who saved my life by opening me up just kept telling me I was going to be alright. He was suggesting the IP/IV chemo route using 2 ports with taxol and cisplatin. They said they got it all and the stage was 2B. It was not in the 4 lymph nodes he took. It was on both ovaries. It was not in the fluid they used to wash my organs after surgery. I did have one tumor about 5 mm on my left abdominal wall. We went for a second opinion and this gynocologist oncologist told me when I asked how long he saw others doing what I had and the IP/IV chemo live? He said about 5-7 years if I did everything he told me to do. This was horrifying in itself, but it also gave my husband the courage to do alternative treatments with a physician we had found just 10 minutes from our house, Dr. Rashid Buttar. It was during this trip to Atlanta to get the second opinion that we watched The Truth About Cancer and we had some hope for the first time in a crazy 6 weeks after the surgery. Q. Where did you personally look for information about your diagnosis/prognosis and treatment options? A. I went to the internet first and put on my pharmaceutical hat. I was looking for anything other than standard chemo. We thought that Cancer Treatment Centers of America would have something more natural to offer me. But they didn’t. We found Dr. Rashid Buttar through a friend in TN who sent us his tape on cancer. That is another cool story for another day. But we started with Dr. Buttar in July of 2014 and through a series of ups and down’s and a second breast cancer primary diagnosis through the Oncoblot test that fall were able to slowly bring my body back to health in 2015. Dr. Buttar filmed me for the global quest TTAC with Ty Bollinger. That filming prompted me to go back to mainstream medicine and have a CT scan. It showed no cancer! We took a much needed break from being so aggressive with chelation, ozone, Vitamin C etc. and did the at home protocols. When I again took the Oncoblot test in Jan. of 2016 it still showed two we believe smaller locations for uterine cancer. The 2 spots for ovarian and 1 spot for breast were gone. Thank you Lord! But this prompted me to think about a year 2 to 3 plan… and Dr. Tony Jimenez and Hope4CancerCancun came to mind! Q. Did you feel like you had options at this time other than conventional treatments? A. I was so confused. I almost did chemo twice. The fact that it was IP IV aggressive chemo is what stopped me. I praise the Lord He sent me to the oncologist who were doing this as this treatment scared me to death and we couldn’t do it. Q. If you knew back when you were first diagnosed, what you know now, what would you have done differently? A. I would have gotten my biological dentistry done early on. I waited a year and didn’t know I had mercury under one crown. I would have done juicing much earlier… I am one of the blessed ones that listened to my inner spirit (the Holy Spirit) and my husband. We paused, listened to God and we went with all natural therapies after surgery! I never did chemo or radiation. Our goal is to never have to do this and never have a metastasis. Q. If you did any cancer treatments before coming to Hope4Cancer, could you explain those treatments and how successful they were for you? Q. How did you find Hope4Cancer? A. When I was first saw the Quest for the Cures I believe I saw Trina Hammack on it… or it may have been the global quest. I remember seeing Dr. Tony and all the various treatments on the Global TTAC and thinking I would like to meet him one day. I also heard Trina’s Ovarian cancer survival story and this was a place I wanted to go if cancer still showed on the Oncoblot test in my future. When it did show up as Uterine cancer we called and booked our 3 week stay after the school year in April of 2016. Q.What was your experience like at Hope4Cancer? A. To say it was a blessing just doesn’t cover it all… but it was A BLESSING from above! We knew on Easter Sunday 2016 the day our girls got baptized that God was sending us to Hope4Cancer Cancun to further my healing in several key area’s … to eradicate any micro-cells left forever, to get thorough care in all area’s of health especially help with a long-term diet and monitoring and to give me tools to emotionally deal with all the trauma’s that lead to the cancer in the first place through Recall Healing! God used these 3 weeks to let me go back and recall key events that needed to be realized and to let go of them. All of the trauma of my father’s death as a child I had dealt with, but the emotional roller coaster of losing 3 babies in miscarriage and an ectopic pregnancy were devastating before our adoptions. I had a lot of letting go to do… I am still in process of doing this monthly with other issues that arise. The treatments of Sono-Photo Dynamic Therapy was great and it is so helpful to have this tool at home to use and continue to treat. I also as a “drug rep” think I needed the PNC-27. I’m so thankful that I was allowed in God’s timing to use this product for 5-7 months. I do think it was part of this healing story as well. Somehow it brought me full circle and allowed me to use a non-toxic drug to eradicate any cells left. This was another emotional healing moment for me… but last I have always loved blue water! I grew up on a lake and some of my best moments have been experienced on the water. Going to Hope4Cancer Cancun allowed me to walk that beach, sink in the sand, feel the salty fresh breezes daily … It was super healing for me. I had talked to Scott (my husband) about going to rent a house at the beach in SC instead of paying for chemo when I first got sick if all I had was a short time to live… The blue waters on the rented yacht that Hope4Cancer rented to take us with the doctors to the Isle of Mujeres was magical. I’ll never forget crossing into it out there in the Carribean and feeling God say to me… “You see my child… I’ve had healing blue waters in your future all this time. You just had to keep walking in faith until I brought you here. 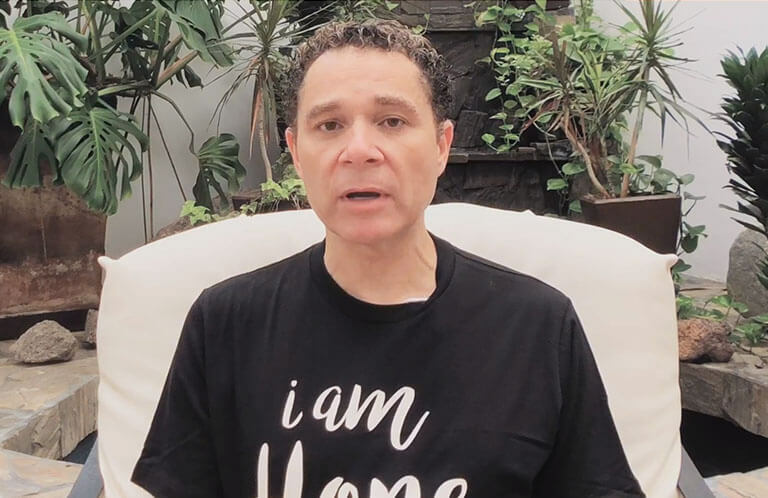 You are ready now to be healed!” I knew that night of the first week of treatments that I would truly be healed of not one but two cancer diagnosis’s! And He is faithful. I trust Him. My favorite verse God showed me before coming at Easter last year is this one… ” And so LORD, where do I put my HOPE? My only HOPE is in YOU. Psalm 39:7. Q. What treatments did you receive at Hope4Cancer? A. B-17 , SPDT and PNC-27 … just recently starting Rigvir for future prevention plan. Q. What were the deciding factors in choosing Hope4Cancer Treatment Centers? Q. Describe how your perception of the word “cancer” has changed, if any? A. It still scares me some to be honest. I’m working on that. The thorn in my flesh. But I know cancer doesn’t have to be a death sentence! I know this! I’m living proof! I believe God has used it to help me forgive myself, love others deeper and never take for granted life again. Q. What perspective in life do you now have that you didn’t have before? A. I could write a book. Live in the moments. Try to relax and slow down is my motto.. and just stay home more now! I want to live in the present and not online or just going through the motions. Breathe. Exercise and Diet are a new must. I’m learning to live the lifestyle. Learning to love deeper – especially myself so I can be a good wife, mom and daughter of our Lord Jesus… I want my life to bring glory to HIM in ALL I do! I want to live more simply. I’m a work in progress, but I like who I am trying to become one day at a time. Q. What does the next 3-5 years of your life now look like? A. Well, after my clear MRI with contrast that I’m getting this Saturday. Smile. Breathe. I need to recall heal on this. Smile again. We are praying that all is truly cancer-free. I feel like last week at Cancun gave us a year 3-6 plan post diagnosis. Meeting Dr. Tony was such a comfort to me and my husband. I’m at the 3 year mark. Rigvir is going to be a big part to healing my immune system. I’m hoping to learn even a better way of cooking for my family this next year. I also want exercise to be part of the daily routine with the family. I need to get back to life as full time mommy! I want to keep life simple. Enjoy the days. I look forward to teaching and training up my 10 year old as she heads into the middle school years in Classical Conversations. I’m her teacher. I also can’t wait to see how my Littles like to learn and to teach them to READ in a few years. Right now they are 3 and all hands are needed on deck to get through some of our days… But they also want to come to Cancun with me in the future. They are a joy… My goal in 2017 is to return back to life FULLY- living verses the next treatment. To Give my fear all to the Lord to WALK IN FAITH. TRUST in my Lord in all circumstances and enjoy my family- the one I nearly missed out on having and knowing! But for God… But for wonderful doctors putting their lives on the line like you at HOPE4CANCER! Thank you. Q. What would you say to the person coming behind you, who may be experiencing what you went through, for the first time? A. Take it one day at a time. Grieve and feel. Express your feelings. Don’t hold them in. Find one thing a day to be thankful for… before you know it you will have a list of 1000 gifts. Accept the process. Pray and ask God to show you what your body needs. Ask Him to guide you through treatment. The Lord opened and shut doors for us! He will do it for you! Find the experts like Dr. Tony and his staff and trust them when you are too weak to do anything else… God will not give you more than you can take. He always shows up and He is always on time… His perfect timing is peace to your soul!